Sooner or later, we will face a mirror image of ourselves with fragile facial skin, wrinkles and the facial shape that has lost its elasticity. While earlier the only way to improve non-aesthetic appearance was to go to plastic surgeon, now there is a great opportunity for treatment with HIFU ultrasound equipment, i.e. SMAS-lifting which has led to a breakthrough in aesthetic medicine. 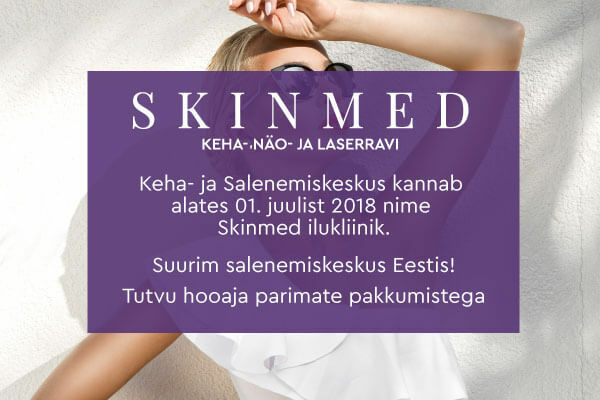 Non-surgical SMAS-lifting is the optimal solution for those who want a result that could be comparable to that of a plastic surgery, but without a scalpel intervention. What is HIFU SMAS-lifting and who can get it? 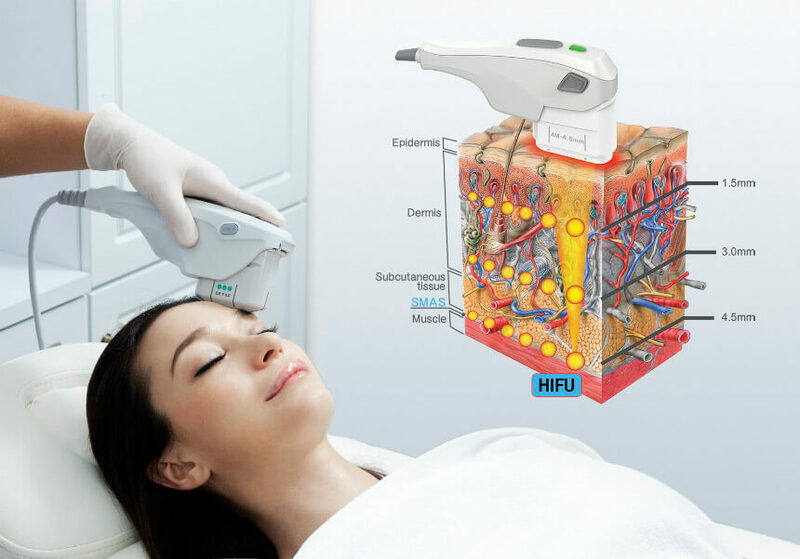 HIFU means High Intensity Focused Ultrasound. Equipment developed in America generates ultrasound impulses, which penetrate the SMAS skin layers. SMAS is the abbreviation which stands for Superficial Musculo-Aponeurotic System. This system of connective muscular tissue is made from elastin and collagen fibres and underlies mimic facial muscles. In other words: SMAS is a frame, supporting the specific facial contour. Due to aging, SMAS becomes less elastic, collagen fibres stretch, and the frame weakens. As a result, eyebrows and cheeks descend, the skin on lower lids sags, face contour is deformed and, next, double chin appears, cheeks hang, nasolabial folds and wrinkles around mouth appear, subdermal tissues sag. SMAS-lifting is performed with HIFU ultrasound apparatus and has no age limitations, this method is suitable for everybody who don’t want to get plastic surgery, but still seek to significantly tighten their skin and look younger. Anesthetizing gel is applied to the facial skin before the procedure. The specialist then measures the precise area which the ultrasound will affect. 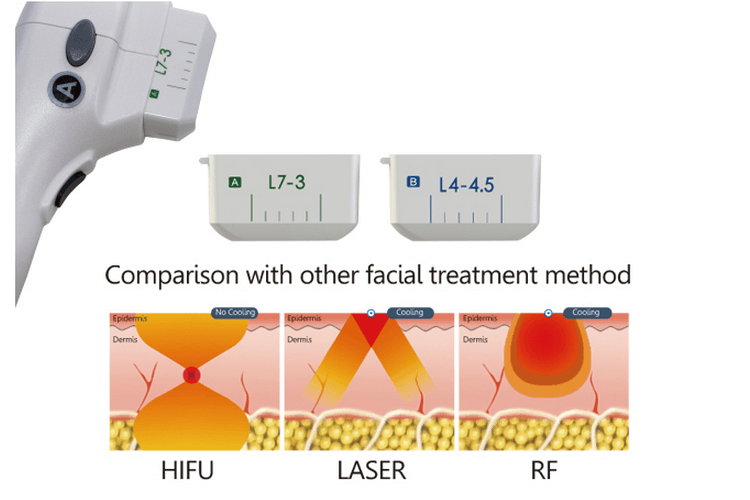 The uniqueness of the procedure lies in the following: HIFU ultrasound emits waves that can penetrate precisely the defined depths without affecting the surrounding tissues. The tissue is only heated in the defined spot to 65-70 °C. The sensor generates special lines at a predetermined depth, which consist of thermocoagulation points that are equally spaced apart. As a result of the process, collagen fibres in the deep layer of the face skin tighten and become thicker. How does HIFU SMAS-lifting change the appearance? 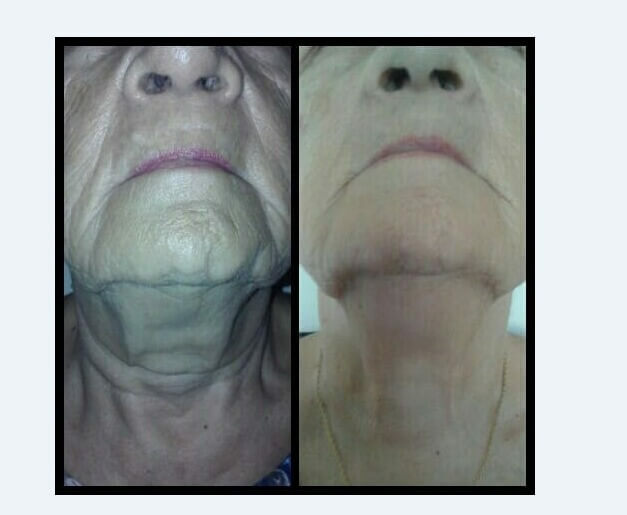 Neck muscles are tightened, and wrinkles are levelled in this area. What are the benefits of the procedure? SMAS-lifting stimulates generation of natural collagen. The procedure activates formation of new elastin fibres and triggers the process of neocollagenesis. The process results in the 3D-lifting effect in all soft tissue layers of the skin. The procedure is absolutely painless, neither unpleasant nor leaves traces on the skin. The client is at the same time in a comfortable position, and only feels warmth, light itch and skin constriction. SMAS-lifting does not require recovery time. The procedure lasts 30-60 minutes. After the HIFU procedure, you can return to your daily routine and may also apply makeup. On the day of procedure, face should not be washed with hot water. Avoid sauna and strong sweating for two days after the procedure, and for week do not scrub the facial skin. Many customers feel the effect at once, but the final result of the process of regeneration and collagen renewal will come in three to four months, as collagen fibres take time to renew. Some customers only need one procedure, but if necessary, they can do another in a half of a year, but generally one year later, another HIFU procedure should follow. The result will last for up to two years. • Predisposition to keloid scars. We ask each new client to fill in a questionnaire and to confirm with his / her signature the absence of contraindications. In the event of a contraindication, you need to consult your GP.